Today’s teens appreciate the value of good oral health and hygiene, but at the same time don’t want to wear the traditional metal braces that people in their parents’ generation had to wear. After all, they have their social lives to consider! Luckily for them, the Teen Invisalign Houston treatment aren’t anything like their parents’ braces. 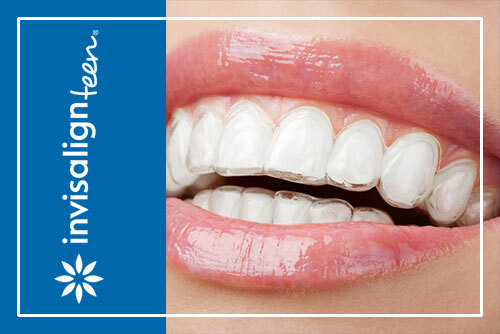 An Invisalign treatment consists of a set of clear plastic aligners that are custom made to fit the patient’s mouth, thereby empowering him or her to participate in a variety of activities without fear. Best of all, the aligners are practically invisible to the naked eye—thus the name “Invisalign”—so that no one will be the wiser! So what can patients expect if they were to get Teen Invisalign Houston? Keep on reading to find out more about Invisalign and why it may be the right option for you or someone you know! The dental subfield of orthodontics, which primarily involves the diagnosis and treatment of malpositioned teeth and jaws, has made great strides in recent years. One of the more promising and popular orthodontic treatments to come along in recent years is Invisalign. As opposed to the wires, brackets and bands of traditional braces, Teen Invisalign Houston provides a less visible and more comfortable approach to straightening teeth. Invisalign aligners eliminates any feelings of embarrassment or self-consciousness, thereby boosting the confidence to the teen wearing them. Invisalign enables teens to enjoy their favorite foods—particularly sticky or sweet ones—without having to worry about them getting caught in or ruining their braces. Invisalign allows young people to participate in sports and other physical activities that they would have been precluded from were they wearing more delicate metal braces. Invisalign gives patients the peace of mind to brush and floss their teeth in a normal fashion without having them break or snap afterwards. These benefits should be enough to convince most that the Teen Invisalign Galleria treatment is a worthwhile one. But for those who want to know more about the process itself, keep on reading! Step 1: The orthodontist devises a treatment plan for straightening a patient’s teeth; part of that plan includes taking three-dimensional digital images of the patient’s teeth and jaw during his or her initial visit. 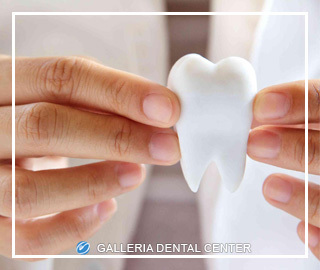 Step 2: Digital imaging of the patient’s mouth are used as the basis for creating the clear plastic aligners that will re-adjust the patient’s teeth into their proper alignment. Step 3: A custom-made set of aligners are made that can be easily removed by the patient when necessary. Find out if Invisalign Teen is right for you by taking this smile assessment test or by visiting Galleria Dental today!